Abstract: Based on her recent experience of a partnership review, the author reflects on the importance of emotional capital created through the relationship between the partnership managers as an important measure of the effectiveness of a partnership and whether it has a place in brokering evaluation. Everyone is familiar with the concept of capital as a description of the assets and resources associated with an organisation or entity; human, intellectual, and financial capital are all frequently used terms. I would argue that building emotional capital in a partnership is just as important in giving a partnership the best chance to flourish. A partnership generates assets that go beyond physical outputs from its programmes. It generates knowledge as well as the beliefs, perceptions, values and attributes – such as self-confidence, self-awareness, adaptability, self-control, empathy, optimism and courage – to convert the knowledge and relationships into effective actions. These are the emotional assets – emotional capital. I’m now interested in finding ways to “take the temperature” of a partnership and judge whether enough emotional capital has been generated to make the partnership work. I recently conducted a partnership review with a national museum in London. Although we make many programmes in collaboration with this museum, the specific partnership under review concerned the making of around twenty television programmes, all themed around their core collections. The partnership had lasted just over two years; there was still one more series to go but I judged that if the review did not take place when it did, certain key individuals in the museum would move on to new jobs and my colleagues would not be interested in taking part. My colleagues thought of the partnership as a great success; the channel loved the programmes and the audience figures were very good. Also, the partnership was frequently used by senior management as an example of a new way of working with the cultural sector. Because of this, the Commissioner and the Head of Production were keen to participate in the review, rather than delegating the task to the Executive Producers and Directors. The review itself was designed as an informal discussion. The list of topics for discussion was agreed between me as partnership manager and my key contact at the museum. We had already exchanged hard data around audience figures; web statistics etc. so the meeting was an opportunity for a more general discussion about how we all thought it went. Review meetings are unusual for both parties. Taking the temperature of a partnership is not part of the culture; institutions are usually trying to “pitch” to one another when they see each other. Normally a meeting would only take place if my colleagues wanted to sell a programme idea to a museum or the museum itself had an exhibition coming up and wanted to get us to make an accompanying programme. Instead, everyone listened to what was being said and then responded in a way that was neither defensive nor aggressive. The challenges we faced in the partnership were acknowledged on both sides; we discussed ways that we might do things differently in the future and very importantly what we could do around the upcoming series. We also discussed what the two institutions could not do, because of funding issues, policy issues or just because it wasn’t the kind of thing they did. This was a level of honesty I have never seen in a meeting before. I was struck by the collaborative tone taken by the participants, even when making very challenging points (and there was a lot of food for thought generated from the discussion). I wondered how we had arrived at this situation and whether there were any lessons to be learned and applied to other partnerships. I initially thought that because the partnerships managers actively managed the relationship it had fostered the positive atmosphere. Over the life of the partnership I had dealt with two very different people appointed by the museum as the relationship managers. I also had to deal with two different departments appointing their own relationship managers, which got very confusing for a while! A strong working relationship with these people helped, particularly when there were difficulties with some of the productions but it wasn’t the whole answer. Although when conducting the review, I was not specifically looking for evidence of emotional capital, it was nevertheless an important outcome. It offered a basis for understanding what contributed to the strong relationships being built over the two years of the partnership. It certainly enabled the honest and open dialogue to happen – and to continue it even when things weren’t going smoothly. So how did emotional capital help the partnership? How was it created? How did it manifest itself? When I thought more about this partnership compared to many others, the key difference was that it wasn’t just emotional capital created through the relationship between the partnership managers but that it was created and owned by the whole institutions. Emotional capital was created through multi-level communication. By means of these dialogues, both formal and informal, each institution was able to understand better how their partner functioned, how their business worked, what stresses and unforeseen events they had to face. These dialogues may have been external to the actual business of the partnership project itself but they were essential in helping build up the emotional capital that in turn enabled the partnership to function well. The high level of emotional capital meant that the institutions didn’t use the review meeting as an occasion to score points off one another. Instead the attendees were willing to pause and listen before responding to a comment. When the comments related to something done badly or not done when it was expected, there was openness about the issues and problems they were facing not normally revealed to another organisation. Both institutions were also willing to have internal disagreements aired in the meeting. It will be interesting to see whether the emotional capital built up around this project translates to a better working relationship the next time that the two institutions work together. More generally, as a partnership broker, I am wondering if assessing emotional capital created or invested in a partnership has a place in brokering evaluation. It may certainly be helpful in understanding behaviors at play which motivate and enable – or even prevent – people from achieving effective collective outcomes. The challenge, of course, is not to make any assessment too complicated or too formal. An informal review would yield just as much value and as many useful insights into emotional assets generated by the partners. I am interested to hear what others think! 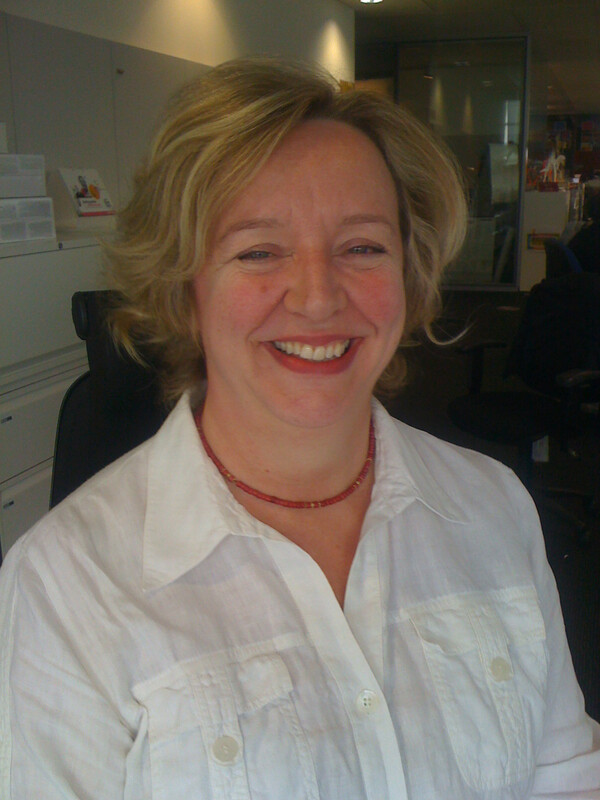 Judith Nichol is a partnerships manager at the British Broadcasting Corporation in the UK. She has extensive experience of managing relationships with a wide range of public and private sector organisations. She advises colleagues on partnership issues and helps also deliver internal partnership training. Judith undertook her PBAS Level 1 and Level 2 training in 2005 and also took part in the Advanced Practice pilot in 2011. In 2013 she became an authorised Level 1 trainer. Prior to joining the BBC, Judith worked as a consultant in Brussels and London and also worked as a researcher at the Royal Institute of International Affairs (Chatham House) and the London School of Economics.